Eaton worked with Microsoft at the Microsoft Innovation Center to harness the energy storage capabilities of a lithium-ion battery-powered UPS to serve as a distributed energy resource (DER) for grid operators. A layer of software algorithms and controls were added to a dual-purpose UPS to enable communication with the power grid. Serving in this role, the UPS can provide and receive energy from the grid, aiding in frequency regulation initiatives and creating an additional revenue stream for operators. 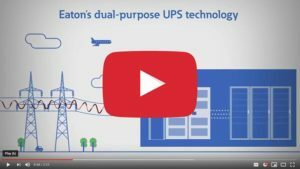 Dual-purpose UPS functionality will allow customers to put their UPS and lithium-ion batteries to work around the clock as a value-generating asset that lowers energy bills and provides grid support services. To better serve our partners that have been utilizing our distribution center in Texas, we have moved to a new facility in Dallas. We believe this new location will allow us to give you the service and responsiveness that you have come to expect from HM Cragg. If you have customers that would be served by HM Cragg stocking specific inventory in Dallas, please get in touch with your regional sales manager to discuss how we can help you. In addition to the new Dallas location, HM Cragg has three other distribution centers in Reno, NV; Winchseter, VA; and Minneapolis, MN. These strategic national locations help ensure we can offer the widest breadth of product, delivered to you as fast as possible. 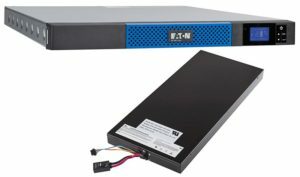 Eaton announced their new 5P lithium-ion rackmount 120V UPS will be available in March 2019. This UPS is offered in a light-weight, 1U design that offers more room for IT and flexible rack or low-profile wall mounting.